When you need an attractive, affordable anti-slip surface consider Sure-Foot’s Light Grey Rubber Stair Treads. As a leader in safety, Sure-Foot manufactures durable anti-slip stair and step coverings that are both affordable and attractive. 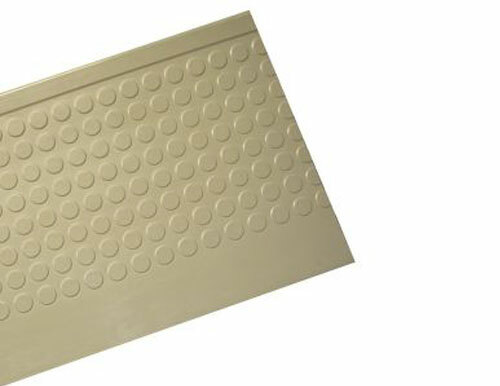 Our stair treads are made of top quality compound for long-lasting safety solutions. These interior stair coverings are resilient and easy to maintain. For an anti-slip product that’s both safe and economical, consider our wide range of rubber and vinyl stair treads. Made for any building with pedestrian foot traffic, these stair treads are perfect for medical buildings, schools, hospitals, restaurants, churches, factories, parking garages and more.